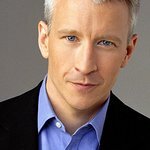 CNN anchor Anderson Cooper – currently in Haiti – saw the raw face of horror this week when he witnessed an attack on a small boy by a group of looters. While filming with his handheld camera, Cooper ran to the aid of the boy, who suffered head injuries at the hands of the men. “We were covering another story when we heard shots being fired,” wrote Cooper on his blog. "We ran toward the sound and found a store being looted. Two Haitian police officers were occasionally firing into the air to try to keep order, but that only worked for a few moments, then the looting would begin again. “They were stealing boxes of candles… It quickly became a free-for-all. Young men began fighting one another for the stolen items. A number of young men had knives, and planks of wood, screwdrivers and rocks. They were using their improvised weapons to threaten and injure others who had stolen items from the store. The robbers were now being robbed. One group of looters whipped another man with a leather belt. They punched him as well, and they stole the sack of goods he’d just stolen. “I was in the midst of the melee… I saw a looter on the roof of the store they’d broken into throw what I think was part of a concrete block into the crowd. It hit a small boy in the head. “I saw him collapse. More chunks of concrete were being thrown at the looters on the roof. The injured boy couldn’t get up. He’d try and then collapse again. Blood was pouring from his head. He was conscious but had no control over his body. I was afraid someone on the roof would see him lying there and throw another cinder block piece onto him. I was afraid he’d get killed. No one seemed to be helping him. “I ran to where he was struggling, and picked him up off the ground. I brought him to a spot about a hundred feet away. I could feel his warm blood on my arms. I stood him up, but he was clearly unable to walk. He wiped his bloody face, and I tried to reassure him. He had no idea where he was, and he clearly couldn’t walk, so I picked him up again and handed him over to someone behind that makeshift barricade. Tony, the American businessman, gave the boy a wet towel. He was then taken away by someone else. We don’t know what happened to him.